With 70 lakh election-related Tweets as voters across five states in India went to polls between November-December 2018, Twitter was the best place to see what’s happening, follow developments in real time and see every side of the news-heavy election season across the spectrum. Twitter news partners innovated, creating interactive video and LIVE programming to reach an engaged audience in English and Hindi. Special programming from partner @SwarajyaMag kicked off with an interactive Q&A session with Minister of State for Civil Aviation Jayant Sinha in conversation with columnist Harsh Gupta, featuring audience questions using the hashtag #AskJayantSinha. Swarajya is honoured to partner with Twitter for a series of live interviews that facilitate interaction amongst policy makers, shapers, and benefactors. In an age where digital discourse is indispensable to the overall narrative, platforms like Twitter play an important role in ensuring all voices are heard, given a platform, and digital inclusiveness. In the run-up to Counting Day, news partners @NDTV hosted three audience shows in partnership with Twitter India -- two Town Halls in Bhopal, Madhya Pradesh and Jaipur, Rajasthan, anchored by Sreenivasan Jain and a special edition of The Big Fight, anchored by Vikram Chandra. The special programming was shared @NDTV on Twitter and on air, on the news channel. Audience questions for the key political leaders using the hashtag #NDTVTownhall were broadcasted on-air in prime time, and and via @NDTV. @NDTV shared a mix of LIVE programming, Twitter Moments and Threads, as well as Video highlights from each show. Cumulatively, more than 80,000 viewers watched the shows on Twitter and Periscope, with more than 355K impressions. A day before Counting Day, @CNNNews18 featured a Twitter-based interview with former Chief Minister Akhilesh Yadav in a mix of Hindi and English. With several questions sourced from audiences using the hashtag #AskAkhilesh, the live interview aired on Twitter and across the Network’s channels, including Hindi language channels News18, News18UP and News18 Bihar. Network 18 also broadcast a nine-hour livestream on @CNNNews18 on Counting Day, which garnered an organic audience of more than 90,000 viewers. @News18India was live in Hindi on Counting Day as well. 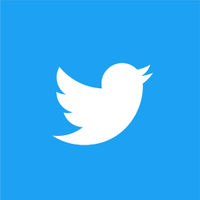 "Twitter continues to be the medium where the conversations begin & partnering with Twitter India during the crucial period of polling & counting for the 5 state assembly polls, helped us getting a headstart there. News18 is known for its system of providing fastest and most accurate Counting day leads, thanks to the partnership (with Twitter), the broadcast reached out to many more people present in India and abroad," said Praveen Thampi, Executive Editor News18.com. "The Counting Day special broadcast was one of the most viewed Periscopes on the day and the Akhilesh Yadav Interview (in Hindi) on 10th December helped set up the agenda ahead of the Counting Day. We look forward to more partnerships in future, especially during the biggest event early next year, the General Elections 2019." The Counting Day special broadcast was one of the most viewed Periscopes on the day and the Akhilesh Yadav Interview (in Hindi) on 10th December helped set up the agenda ahead of the Counting Day. Apart from the above news highlights, we featured on @TwitterIndia key Explainer Videos from partners like @TheNewsMinute around the Telangana elections and Moments from the North-East based digital media outlet @EastMojo. With all the twists and turns, it’s not always easy to keep track of what is happening with the elections in real time. But thanks to our partners, we’ve got you covered. Ahead of General Elections, our news partners will help demystify some of the major news points, electoral and policy issues, and bring you live interviews and special programming with key decision makers and industry experts. Personal finance publication @themoney_mile will host a LIVE series of conversations on Finance, starting with A Balasubramanian, CEO at Aditya Birla Sunlife Mutual Fund in the Twitter #BlueRoom on Jan 11, 2019. Send in your questions with #AskBala and follow the conversation live. And there will be more to come. Whenever news breaks, however big or small, global or national, we are committed to ensuring you can #SeeEverySide of the conversation on Twitter. Share your thoughts, join in the conversations and make your voices heard. Follow @TwitterIndia and @MomentsIndia for the latest developments.